Throughout the 2017-2018 academic year, the UFA has been working to ensure that UM respects its obligations to lecturers as outlined in the CBA and university policy. It began when we successfully negotiated a solution to the grievance it filed against UM for violating its own policy regarding the appointment of lecturers. This agreement ends the dispute the faculty union launched contending the University violated the CBA when it issued one semester contracts that ended in the termination of lecturers at the end of 2017. Today the University Faculty Association filed an official grievance accusing the University of Montana of violating its own policy in how it treats Lecturers on campus. It is a decision we regret, but find unavoidable given the administration’s decision to not adhere to its rules. Lecturers are critical faculty members who teach many of the General Education and highest enrolled courses. They have usually demonstrated themselves to be effective and caring teachers and therefore the university created a special policy for them. These teachers are offered annual contracts – as opposed to the course-by-course assignments made to most adjuncts – and if that contract is not to be renewed, the lecturer is told a semester before his or her annual appointment. This gives the faculty member time to find another institution and the university time to ensure another faculty member can teach their course. This year, on almost the eve of the new semester, the University sent out a letter to many of these faculty members telling them their employment would end at the end of the fall semester. It seems the University adhered to the semester’s notice, but ignored the annual appointment part of the policy. They should have, under the policy they adopted just in March, sent such letters out before the spring semester began in January of this year that they would not receive a new annual appointment. When the administration informed us of their plans, we sought to negotiate an alternative process. We understand the difficult financial situation the campus finds itself in and hoped we could develop a memorandum of understanding that might allow the university to reduce the number of lecturers while respecting their commitment. They chose not to negotiate with us and now we find ourselves in the position of having to file this grievance to remedy the situation. And since the letter went out we have had numerous first-person accounts about deans having conversations with some lecturers about teaching in the spring. Some have received and signed annual contracts. The president has publicly stated that she knows some lecturers will be returning to teach. We still hope to avoid arbitration, but also insist the University abide by its own policies. This is not how we hoped to start such a critical semester at the University of Montana, but we are left with no other option. A copy of the grievance will be made available to all members of the UFA and the media. Persons appointed as members of the faculty with duties devoted primarily to teaching, subject to reappointment annually at the University’s discretion. 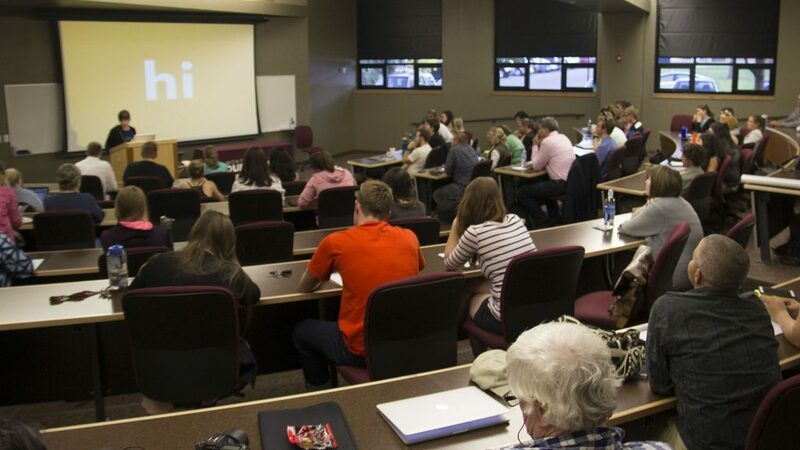 We are gratified that the University of Montana and University Faculty Association were able to reach an agreement that ensured all lecturers at UM will be back teaching their important and valued classes this spring. Announced at Faculty Senate on Thursday, the agreement says the University will issue annual contracts to the lecturers who received notice they would be finished teaching in December. This agreement allows those faculty members, who many of our students value as incredible teachers and mentors, to know that they will be here this full year. It also allows us to avoid a potentially lengthy and uncertain arbitration process that could leave those lecturers unsure of their status well into the winter and possibly the spring. We want to express our thanks to our colleagues at the MEA-MFT for their work with us and both Main Hall and the Office of the Commissioner for Higher Education for negotiating with us once we had filed the formal grievance. There are still important and difficult decisions to be made at the University of Montana and we hope today also marks the beginning of a new era of cooperation that will ensure that the rights of our members are protected even as the University makes difficult and necessary decisions for the future health of UM. We will be sending out another message soon that outlines what we at the UFA see as the current challenges regarding APASP and the budget challenges. Today is a good day for the hard-working lecturers who teach many of our most popular and engaging classes. It is also a good day for their students and for the University community as a whole. The issue re-emerged in December when the administration notified all lecturers that the university was terminating them and not offering any yearlong contracts. We readied an unfair labor practice complaint stating they did not have the right to eliminate a class of faculty and the termination letters were rescinded that day. The University Faculty Association has tried to work with this interim administration to ensure UM could face our difficult budget situation while respecting our obligations to its employees and students. We participated, in full and in good faith, in the program prioritization effort to assess the strengths and weaknesses of our individual program offerings. We offered to sit down with the administration to develop policies that would maximize Main Hall’s flexibility while respecting the rights of our members. We proposed meaningful consultation prior to important decisions being made that would affect our members. We were assured that this would be the case and yet the interim administration has repeatedly failed to honor that understanding. Three cases in point: the first blanket letter sent out to lecturers that was only rescinded after the UFA filed a formal grievance in September 2016; the decision by the interim administration earlier this semester to radically shrink the number of sabbaticals followed by their refusal to rethink the policy even after the UFA designed for them a viable alternative; and now, just this past week, yet another blanket letter to lecturers informing our lecturers that they would not be reappointed after this spring. This latest set of letters were rescinded hours later after the administration learned that we were planning on filing an unfair labor practice on December 4, 2017. We find ourselves again being forced to explain to the interim leadership of this university the long-standing practices and policies that they and previous administrations have agreed to and on which valuable teachers have based their career of service at this institution. For more than 15 years, the contract and the policy have served both students and the people of Montana by offering critical courses to students in a sustainable and affordable way. The contract and policy were unilaterally disregarded by an interim leadership that we feel fundamentally misunderstands the role these faculty play within their departments and for the students. The December 1, 2017 memo sent to lecturers from Provost Beverly Edmond states that “The University of Montana will be discontinuing use of full-year contracts for lecturers.” Clearly, one interim administrator is not authorized to make this declaration on behalf of the institution. The title of lecturer is recognized as one of the five types of non-tenurable appointments negotiated in the Collective Bargaining Agreement. Additionally, the term lecturer is further defined in UM Policy 350. This policy was reaffirmed just this spring. The provost does not have the authority to declare that the institution intends to eliminate one of the five non-tenurable appointments given that all faculty appointments (titles and definitions) are subject to collective bargaining. The UFA finds the declaration of the intention to eliminate this appointment out of accordance with good faith bargaining practice in our ongoing negotiations. The decision to rescind these latest misguided decisions are only “until further notice.” One thing we do know is that we will defend our bargained agreement and the rights of faculty members from continued actions of this administration to undermine them. The interim administration’s inability to deal with lecturers in a way that respects their contributions to the University of Montana and the collective bargaining agreement has further undermined any confidence we have in their ability to make strategic decisions. We therefore are calling on the interim leadership to adhere to the recommendations of the program prioritization task force and defer structural and systemic changes to the new administration of President Bodnar. In the end, the University stepped back from its threat to terminate all lecturers, but 12 were not renewed for the 2018-2019 academic year. As you probably read in local media, the University of Montana decided to not renew contracts for 12 lecturers next year (an additional lecturer decided to retire). This is a sad development for so many skillful teachers who have inspired hundreds of students and helped so many colleagues over the years. The lecturers were notified at the end of last month. The union worked to ensure the deans and department chairs were involved in this process and that it respect the commitment outlined in the contract for these professionals. Although we regret the loss of these valuable colleagues, the union was able to successfully defeat two attempts to eliminate lecturers as a class of faculty. The union has been working with HR and many of these faculty members to answer questions about benefits, timing and other issues. If you are one of these faculty members, please do not hesitate to contact Vice President Megan Stark (megan.stark@umontana.edu) with any questions and we will work to answer them. The lecturer matter is a solemn example of what we try to do at the UFA – to protect the rights enshrined in the contract and assist faculty members in whatever way we can.